This huge night of championship boxing on Saturday June 23rd also features an action-packed undercard alongside a stellar main event. Undefeated heavyweight prospect Martin Bakole (10-0-0) defends his IBO Continental title against the towering DL Jones (8-1-1) over ten rounds. Bantamweight sensation Lee McGregor (3-0-0) challenges for the vacant IBF World Youth Bantamweight title against Tanzania’s up-and-coming Goodluck Mrema (22-2-0). Undefeated IBO World lightweight champion Chantelle Cameron (6-0-0) will square off against former World title challenger Natalia Vanesa del Valle Aguirre (8-11-3). 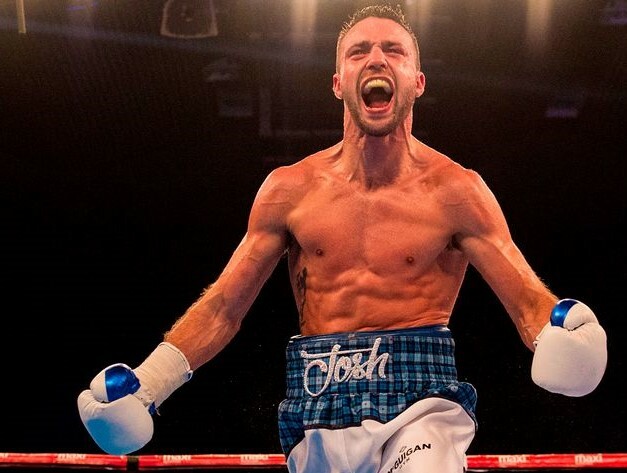 LIMITED TICKETS FOR JOSH TAYLOR vs VIKTOR POSTOL AT THE SSE HYDRO, GLASGOW ON SATURDAY JUNE 23RD ARE STILL ON SALE – PRICED £40, £60, £80 AND VIP INNER RINGSIDE AT £150 + BOOKING FEES, AND AVAILABLE FROM WWW.TICKETMASTER.CO.UK OR CALL 0844 844 0444.